Home > Stellar Data Recovery Standard Software > How to Recover Missing Files & Folders After CHKDSK Command? How to Recover Missing Files & Folders After CHKDSK Command? If you have recently run the CHKDSK command and it resulted in missing files or folders, do not worry. This is a fairly common occurrence and lots of people around the world report it every day. But the good thing is, it can be easily solved. Let’s understand everything about this command. How you can recover files after “CHKDSK“?. chkdsk /r: This command locates the bad sectors in the storage device. It then recovers any readable information. chkdsk /f: This command is used to find errors in the storage device. It then carries out a few necessary steps to fix these errors. Here are some additional CHKDSK commands that can be useful for you. This command displays the names of all the files during disk checking- “chkdsk /v”. This command Forces the volume to dismount – ” chkdsk /x”. You can do a quick scan that performs a casual check of the index entries. Can only be used with the NTFS file system-“chkdsk /i”. Used to make CHKDSK skip the check cycles within the folder structure. Can only be used with the NTFS file system and reduces the execution time of the check- “chkdsk /c”. Used to clear the bad sector on the drive. Can only be used with the NTFS file system- “chkdsk /b”. The command checks the files. The stored data is verified. CHDKSK then checks the indexes on the volumes. It then goes on to check the security descriptions of every partition. There is also the option to execute two additional steps if needed. Data verification on the storage. Free space verification on the storage. 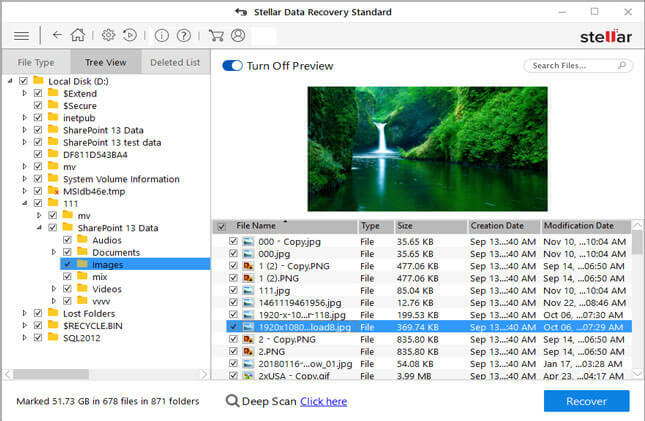 How to Recover Lost Files with Stellar Data Recovery Software? Remove the hard drive from your system. Connect this hard drive to another PC. You can easily do this with the help of an HDD enclosure or SATA to USB converter. Please note that you SHOULD NOT use the data recovery software on the same system on which you ran the CHKDSK command. This is to ensure you do not overwrite any data. Once you are ready, download the Stellar Data Recovery- Software for Windows. How Does the Stellar Data Recovery Software help? Install it on the new system. Launch the software when the installation finishes. In the window that pops up, choose the files that you need to recover. If you are unsure what to select, simply check the box for ‘All Data’. This will successfully recover all the file types. Additionally, check the external hard drive checkbox and the ‘Deep Scan’ toggle switch. Once you are ready, click on the ‘Scan’ button. The deep scanning process can take some time to complete. Wait for the scan to finish. Once it does, the files and folders that can be recovered will be visible on the ‘Tree View’ panel on the left. Click on ‘File Type’. Select the files and folders that need to be recovered. Click on ‘Recover’. Select the location where you want to save the files with the ‘Browse’ button. Click on ‘Start Saving’ button to begin the recovery process. This will successfully recover all your files and folders. You can then copy the data to your storage device and finally connect to your system. Losing stored files and folders after the CHKDSK command is common. 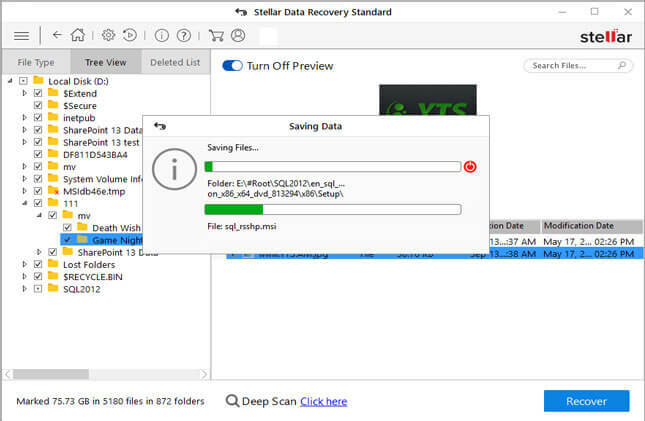 Using the data recovery software from Stellar can help you easily recover your data. But, that’s not the only case where it can be used. You can use the software in practically every data loss situation. Simply install it and scan your storage device to get going. How to Retrieve Deleted Word Documents for Free? 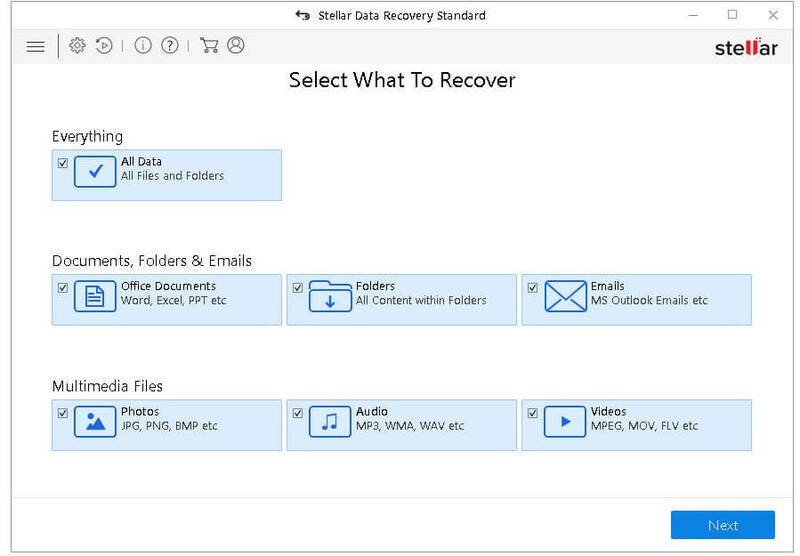 How Does Stellar Data Recovery Software for Windows Work? How to Get Activation Key of Stellar Data Recovery for Windows? Why Trust Stellar Windows Data Recovery Software?